(Natural News) Amazon’s “Echo,” the handsfree, voice-controlled speaker for the uber-lazy, plays music, harnesses the abilities of the virtual assistant “Alexa” to phone or message on your behalf, can recognize voice commands from across a room, answers questions, delivers the latest traffic report, can give you the latest sports scores and reads to you, among many other things. And now, the failing British National Health Service (NHS) is harnessing its capabilities to give seniors less one-on-one care, while pushing as many pills down their throats as possible. Though the Echo is certainly not cheap, at around $194, that’s chump change when you consider how much of a load it can remove from caregivers’ shoulders, thereby reducing the costs of senior care for the government. Of course, seniors who rely on the social interaction and attention they get from these carers will likely suffer as a result of the change, but that’s not stopping the council. Hampshire County Council has teamed up with Argenti Telehealthcare Partnership, its partner in delivering technology to users’ homes, and internet giant Amazon to make the trial happen. The authority also received £50,000 ($64,000) from the Local Government Association. Argenti has for some time been taking care of 8,500 clients in the district using care technology, and claims to have saved the council $6 million since 2013. So, you see, it really is all about the money. If the sinking NHS can save money on senior care by investing in technology, it’s certainly going to do so, irrespective of how lonely the seniors left in the care of an electronic voice may become. And this technology poses other serious concerns for vulnerable elderly people. 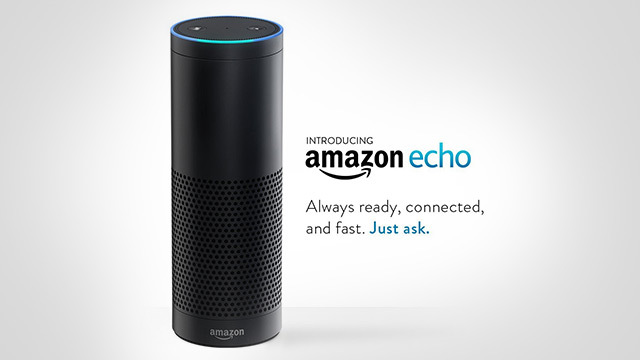 Natural News reported earlier this year that the Amazon Echo creates a serious security threat for its users. “If hackers find a way to compromise these devices in our homes, they could have it recording all of the time and you wouldn’t necessarily know,” explained cyber security expert Dr. Jason Nurse. “They could hear you discussing your holiday plans, so they know when you are away and could burgle you. They may hear you buying something on the phone, giving away your credit card details. “Someone else in your home may say the wake word without your knowledge and start it recording while you are discussing something private or sensitive,” Nurse added. Experts warn that the device should be muted or turned off every time you have a private conversation, but realistically speaking, are seniors – particularly those who may be suffering from dementia – going to remember to do so every time they discuss holiday plans with their families or discuss bills or other personal information over the phone? In an increasingly disconnected and impersonal world, are devices like the Echo going to leave us cut off from one another, lonely and devoid of human contact? It would seem that 50 vulnerable seniors in England are about to become human guinea pigs in a truly sad experiment that does not reflect well on the state of humanity.